More than 90 participants, ACF board members, and Disney VoluntEARS shared in a day of great fun for a great cause. In this twist on golf and soccer, participants kicked soccer balls into oversized holes on the greens. 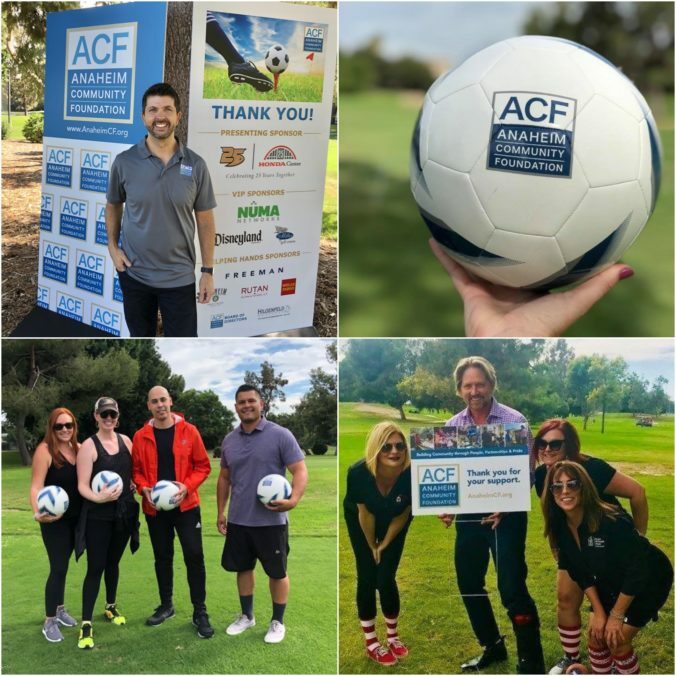 After nine holes of play, the fun continued with an afternoon reception, opportunity auction, and presentation about the Anaheim Community Foundation by Board Chair Ed Munson and other ACF representatives. The event was made possible by Presenting Sponsor: Anaheim Ducks and Honda Center. 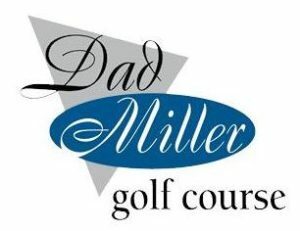 Other sponsors included VIP Sponsors: Numa Networks, Disneyland Resort, and Dad Miller Golf Course; and Helping Hands Sponsors: Freeman, Anaheim Public Utilities, Kaiser Permanente, Rutan & Tucker, Hilgenfeld Mortuary, Wells Fargo, and ACF Board of Directors. Prize items and other amenities were generously provided by Angels Baseball, Anaheim Ducks, Los Angeles Dodgers, National Grove of Anaheim, The Magic Castle, TGR Foundation, Disneyland Resort, Los Alamitos Medical Center, Costco, and Forest Lawn. Among the attendees was a foursome from Ronald McDonald House. “Our tribe of Do GOODers loves to support our local communities especially when it’s a fun event like Kicks for a Cause. 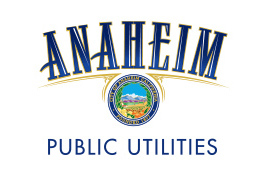 Thank you Anaheim Community Foundation for all that you to build and maintain a stronger Anaheim,” said Development Director, Susan Kenny. Since 1984, the Anaheim Community Foundation has enriched the lives of Anaheim residents by addressing community needs, helping local nonprofit organizations through grant opportunities, awarding youth program scholarships, and enhancing city-wide programs and services.